For a city of Bowling Green's size to have five Japanese restaurants is phenomenal. No one visiting here can believe it. It is one of the reasons Bowling Green has earned the reputation for being one of America's surprisingly sophisticated culinary locations. And when Ichiban, our first Japanese restaurant, opened, they had quite a challenge. 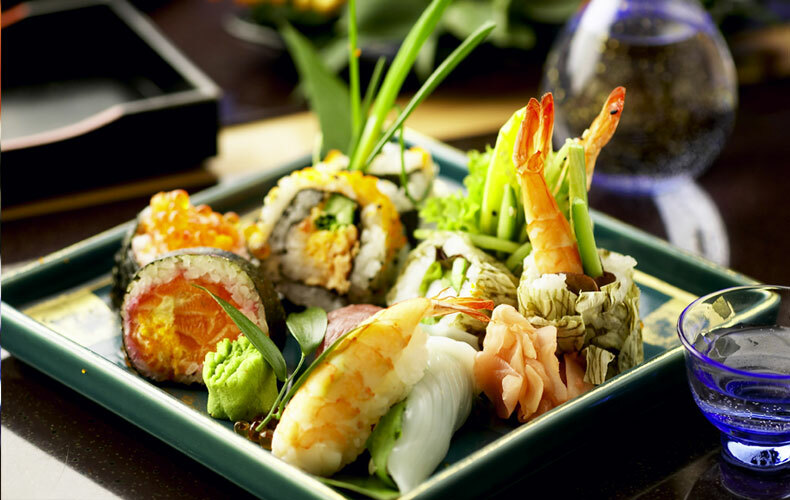 People raised on Country Ham, Catfish, Steak & Potatoes and Barbeque had to learn to appreciate Sushi, Seaweed, Eggplant, Octopus, Bamboo, Sea Urchin, Eel, Rice Paper, Fish Eggs and Dragon Rolls. 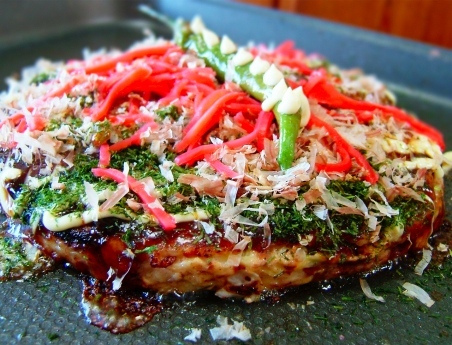 Even more than most nationality foods, Japanese eating is a culinary adventure. It is a fireworks display of colors, textures, unusual flavors, and manners. For the Japanese, Food is Ritual and Ceremony, with great emphasis on Presentation. One of the features of a full service Japanese restaurant is Hibachi dining, where you sit around a special table while a chef fixes your meal in front of you using dramatic flair. This is a fine way to celebrate a special occasion like a birthday or anniversary, but if you do, take your camera. 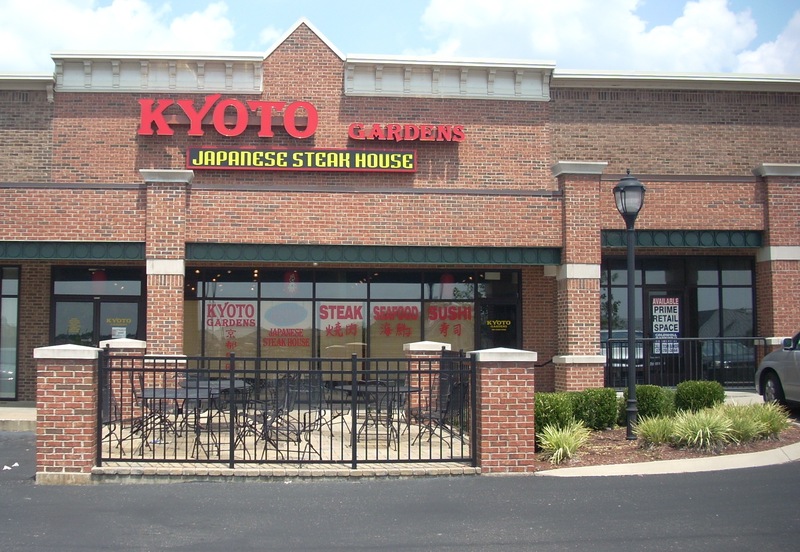 Kyoto Gardens is a small, modestly priced Japanese Steak House with locations on Buckhead Square and Scottsville Road. They keep their menu simple, service crisp and efficient, and prices low. There are four appetizers, 10 basic entrees, eight combinations of various entrees, three sides and two desserts. Appetizers are Gyoza, Spider Roll, Vegetable Tempura and Egg Roll. We really like their Spider and Egg Rolls. Of their entrees, we most like the Scallops and Fish of the Day. Others of our group liked the three kinds of steak (Yakitori, Teriyaki and Hibachi) and two kinds of chicken (Teriyaki and Hibachi). The other two are common but the Yakitori is not as widely available and is excellent. These basic entrees are all in the $6-8 range. The combinations range from $9 - 13. The $13 combos are the Seafood Platter, featuring Jumbo Shrimp, Scallops and Fish of the Day, and The Emperor's Dinner, a mix of Chicken, Steak and Shrimp. All entreescome with fried rice, ginger sauce and sweet carrots. Our only issue with Kyoto is their Deep Fried Cheesecake and Deep Fried Ice Cream. They're delicious, but they're already delicious before being Deep Fried. We don't see the need for frying. However, Kyoto proves we can still prepare good food for reasonable prices. 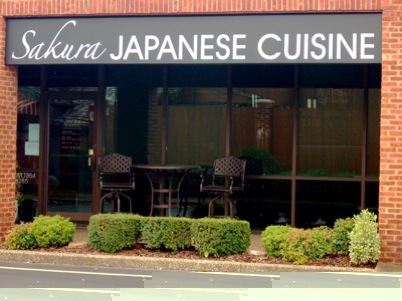 Ichiban is the oldest Japanese restaurant in Bowling Green and still has a large, loyal following. As the closest ethnic restaurant to the Western Kentucky University campus it has a big college age following, so on Friday and Saturday nights can be rather crowded. Decor is quite basic and the building itself is a former McDonalds, but the prices are the best of any local Japanese restaurant. Oddly for a Japanese outlet, most of its frequent patrons consider the Halibut its best entree, but their chef makes a special sauce which is served with all entrees and it alone is worth a visit. The Sushi here, particularly the Nigiri, is probably the best in town, despite the fact the rolls are a bit smaller. Service is often slow but go anyway and be patient; the food is worth the wait. Or you could try carryout and not worry about being seated or served. 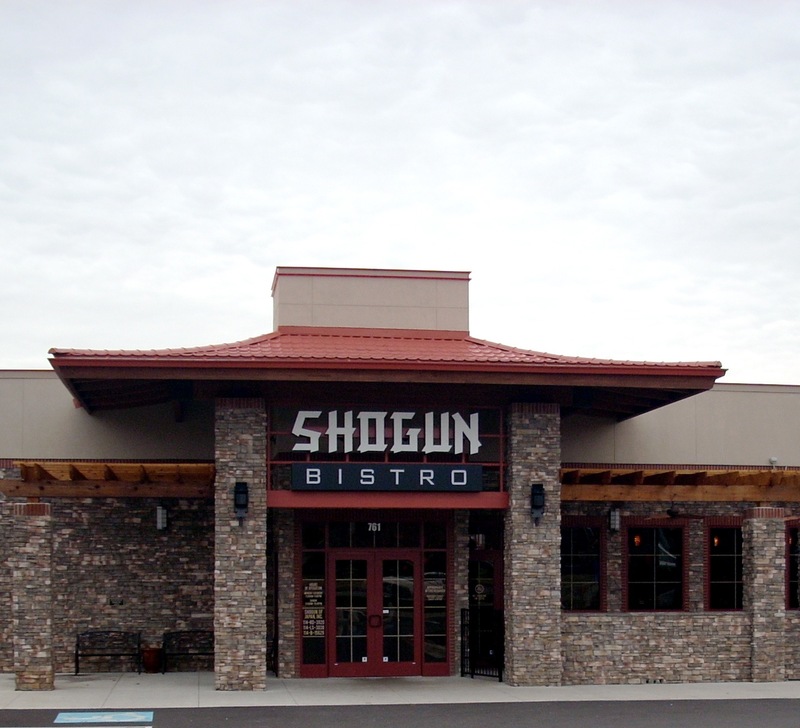 Shogun's is a very good Japanese steak seafood sushi house. All Lunches include Japanese Green Onion Soup. Among lunchtime appetizers, we like the Spring Rolls (hand made cabbage and vegetable fillings in a sweet spicy peanut sauce) and Pot Stickers (pork with onions, sesame and soy ginger). The Hibachi Sauteed Vegetables are a great light lunch entree, but there are also chicken, steak, shrimp and scallop items. Desserts include Pears Poached in Red Wine, Kentucky Bread Pudding and Fried Ice Cream. If you're up for a mid day drink, they offer Hot or Cold Sake, Sapparo, and Plum Wine. Otherwise, there's Green or Peach Tea.The dinner menu includes all combinations of steak, chicken, black tiger shrimp, sea scallops, lobster, tuna, salmon and mahi mahi (dolphinfish). Mixed drinks include Japanese Koolaid, Green Dragon, Sake Bomb, and Kamikaze. Shogun has the best Hibachi show in town, especially if you get one of their top two chefs (the others are a bit younger and still learning).The two page Sushi Menu offers several months of exploration, but we recommend the Yellowfin Tuna, Caterpillar (eel, cucumber, avocado), Hawaiian (albacore, garlic, avocado and wasabi mayo), and Scallop (scallops, topiko, green onion and sweet sauce). 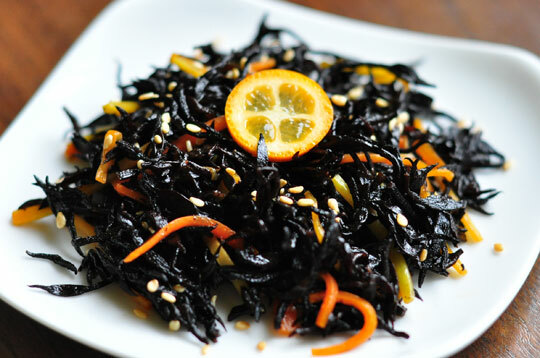 Of their house salads, if you've never tried Seaweed Salad this would be a good place to start, as their version is excellent. But so are the Squid and Cucumber/Crab/Octopus Salads. You really should order Tiramisu, the classic Japanese dessert : chocolate liqueur, coffee, cocoa, and white and dark chocolate. The kids menu includes Cavatappi & Cheese, the Japanese version of Mac & Cheese made with white cheddar. Their White Sauce may be the best in the entire state (which means it beats out the Lexington and Louisville rivals). Their Sushi ranks right up there with Ichiban's, and their Salmon is the best in town. 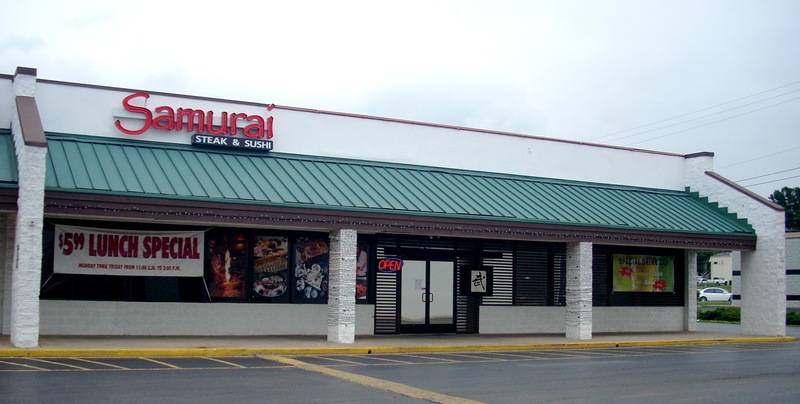 Samurai is one of the best Japanese restaurants in a very competitive Bowling Green market. Many locals come here just for the Sushi. They offer 24 pieces, 20 regular rolls and 20 special rolls. The pieces include all the usual favorites : octopus, eeel, crab, flounder, and sea urchin. Of the regular rolls we like the Eeel & Cucumber Roll, Cajun Roll and Soft Shell Crab Roll. Of the specials, we think they do their best job with their Seafood Melody, Hawaiin and Cherry Blossom. We're not too impressed with their Soups. They only offer two and neither is outstanding. But their Salads are very good. We especially enjoy their Seaweed, Squid and Salmon Salads. Among their appetizers, we like the Soft Chell Crab, Calamari, Seafood Pancake and Potato Cake. Being a full scale Japanese restaurant, of course, Samurai offers Hibachi dining, where you sit around a special table while a chef fixes your meal in front of you using dramatic flair. Or you can choose to sit at a regular table and have your meal prepared in the kitchen in traditional style. Either way, entrees include Shrimp, Scallops, Salmon, Swordfish, Lobster, Chicken, and various kinds of Beef. You can order seven kinds of Noodles, eight Rice bowls, five Tempura items plus various combinations, and eight Teriyaki entrees. There are also seven Bento Boxes. Be sure to try some tea.